Come to the enchanting sacred valley of Peru for relaxation, community and renewal in one of the most beautiful and sacred spaces on earth! Journey to Peru for a week of yoga and volunteerism at a Sacred Valley Retreat Center famous for their gardens and accommodations coupled with Gretchen Serinis and Alana Roach’s yoga instruction. An additional option for an extended experience of a 4 day overnight experience of hiking Machu Picchu. The Andean mountains contain some of the world’s purest energy for you to experience at this world famous Retreat Centre. 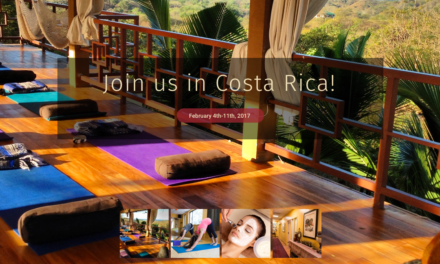 You will embark on a yoga experience of a lifetime which is enhanced with breathing and meditation technique with a volunteer options within the community. We will be working with one of the centers profound programs that help the local communities: Children’s Nutrition, Permaculture, School Construction, River Clean Up or Native Tree Planting. You will experience the greatest source of happiness which comes from extending ourselves to others through this opportunity. The week will be spent practicing yoga, volunteering and experiencing the beauty of the Sacred Valley all essential elements to heightening your yogi spirit and elevating yourself as a yogi citizen of the world. Day 1: Retreat Center to Ollantaytambo- Aguas Calientes. After breakfast there will be a transfer to Ollantaytambo to visit the temple of the Condor, we will concentrate on working with the energy of the Condor. We will walk into the village of Ollantaytambo looking the water channels, then you will have time for lunch. Afternoon to go the hotel and check in at the Pakaritampu Hotel in Ollantaytambo. Day 02: Ollantaytambo – Machu Picchu – Ollantaytambo. Early morning after breakfast, we will transfer to the train station in Ollantaytambo, check in at the entrance and travel by train to Aguas Calientes. At your arrival, we will transfer to the Bus station. We will put an offering to the mountains surrounding Machu Picchu, then ask permission to enter the energy points and we will visit all Machu Picchu citadel . Afternoon come back to Aguas Calientes, then return by train to Ollantaytambo, from there you will have private transfer to your hotel in Cusco. Included: Private transportation to Cusco,, tour guide hotel in Ollantaytambo, train to Machu Picchu, entrance fees to Machu Picchu, round trip bus ticket to Machu Picchu, train tickets to Aguas Calientes – Ollantaytambo + Private transfer to hotel in Cusco. Cost of optional tour package to Machu Picchu: $385.00 per person. * There may also be an option for a 3 night/4 day to Machu Picchu. If you are interested in a longer tour, please indicate on your registration and if you sign up for the 1 night tour, we can transfer this to the longer tour if enough people commit. Caileigh is a Nutritional Wellness Coach and Yoga Teacher who is passionate about healing, meditation, pranayama, Ayurveda, herbs, cooking and travel. She is an award-winning filmmaker and honors graduate of Haverford College, where she studied Anthropology and Documentary Filmmaking. She loves being active and moving her body–through yoga, kickboxing, rock climbing, running, cycling and mountaineering–as a way to connect with nature and travel the world. Her love of the outdoors has led her to climb mountains all over the U.S. and South Africa. Caileigh’s mission to help others heal stems from her own experience with healing herself from an autoimmune disease through nutrition, mindfulness and yoga. She is an established instructor in plant-based vegetarian and vegan cooking, supporting youth and adults in Philadelphia and New York City for the past five years. Most importantly, Caileigh is dedicated to helping people get in touch with their bodies, minds and souls to live the healthiest, fullest and most vibrant life possible. Caileigh cannot wait to support you on your journey to this incredible country! In 2012, her journey took her to India for 3 months where she trained with incredible locals near the Himalayas and fell into a rhythm of practice that felt sustaining. She knew that when She returned from the East, she would begin in creating a life as a teacher of Yoga to help others journey to find whole health and well-being in the mind, body, and soul. She has been teaching ever since. CYT and E-RYT certified in Vinyasa with a focus in Ashtanga Yoga and her personal studies of many holistic modalities including integrative breathwork, pranayama, plant based nutrition, and various yoga theory and practicum ranging from restorative to advanced vinyasa and everything in between, Alana teaches all levels and all ages. “I want to reach you at the level of your needs, and I try to communicate with you on a mind, body, soul level to find out what that is. We co-create a beautiful practice together. My students are my best teachers. In that light, we are co-teaching each other in every moment. It is really a beautiful experience. The Center’s name, translates as “love from the ancient forest”, is nestled in an oasis of native plants and fruit trees and is nourished by a magnificent waterfall in the Sacred Valley of Peru. This lovely spot is in the Andes Mountains and home of the twelve mountains known as “apus” — “luminous beings” Those who come to the center have the opportunity to commune directly with these mountains, as well as with the local curanderos and pacos (healers), who engage with us for ritual and ceremony. The guests at this center enjoy delicious meals with locally-grown and lovingly prepared ingredients. Each guest room is a reflection of the Peruvian culture of the Sacred Valley. The entire center embodies kindness, love and wholeness that seem to permeate this magical place. Touring the famous Seminario pottery studio, &/or shopping at the local Alpaca stores. Register early as we expect this retreat to fill quickly! A $300 deposit will get your name on the big “I Want To Go To Peru” list and officially reserve your spot. It will be deducted from the total amount of the trip cost. The trip has a minimum of 10 people and a maximum of 20 people. To register, go to our Online Registration Platform *. At the checkout you will have the option to choose your payment method. The minimum payment you can make is the $300 Deposit which will “Hold Your Spot for Peru” and Lock in Your Price for your retreat. For future tuition payments please use the same Online Registration Platform. *For Online Registration Technical Issues please call Reg Online support at 1-888-465-7500 Ext. 1. * Our on-line system does not accept checks, but if you need an alternative payment arrangements,contact us. You will be booking your flights to Cusco Airport in Peru (CUZ). Most flights will go via Lima. 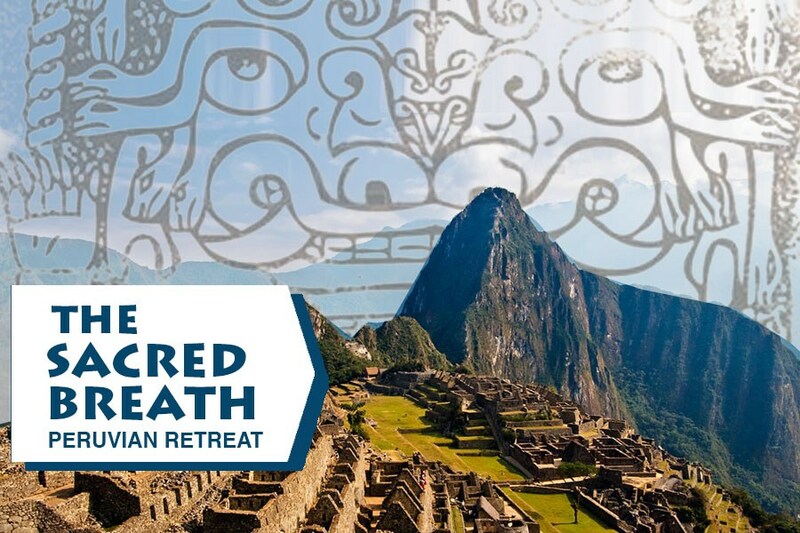 A Group shuttle for this retreat will be provided from Cusco airport to your retreat center. We will book the shuttle to accommodate the last arriving passenger. True Nature Education has a Group Travel Agent that will be happy to help you book your flights. Just ask us if this interests you. Some of our retreats also have a Group Flight Option so you can travel with your fellow retreatants (minimum 10). From the airport we will organize one group transport for all retreat participants. Before booking tickets, please be sure you have received your official confirmation note that the retreat has met its minimums. Once this has been established when booking your trip check that your flight times are in alignment with our flight arrival and departure time frames. True Nature is an Educational Travel Company which provides full service in the planning, support, and guiding of a diverse catalog of trips around the world each year. We believe in the power of experiential travel abroad and the multitude of affects it has on ones growth. We have hosted thousands of participants and have been honored to share in the life-changing experiences of our guests. It is True Nature’s goal to strive to meet the needs of our guests and to be of support from the time you first contact us, to the time you land in Italy, and until you return home from your journey.